How do I transfer my existing domain to DW Domains? After verifying that your domain meets all transfer requirements, feel free to purchase the transfer from us. After you check out and enter the Auth code, a Transfer Approval email will be sent to the domain’s Admin email address listed under Whois. This email is sent from support@designingworld.net (or donotreply@designingworld.net). To confirm the transfer, follow the link in the email. Once the transfer is confirmed, your previous registrar should release the domain within up to 5-7 calendar days to approve the transfer. If they do not take any actions within this period, the transfer will be approved automatically. You may also check with the previous registrar if it is possible to speed up outgoing transfers with them. You will receive a notification from Designing World when the transfer is complete. Depending on a TLD, the domain will be renewed for one year and its status will automatically be set to ‘clientTransferProhibited’ (that is, the transfer Lock will be enabled). Note 1: Please remember that a domain transfer does not imply automatic DNS change. 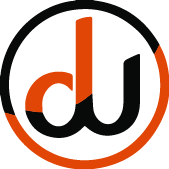 The nameservers for your domain will remain the same after the transfer and are not automatically changed to DW Hosting DNS. If your domain is using the default DNS at your previous registrar, the transfer process may cause temporary downtime of your website and/or email service interruption.